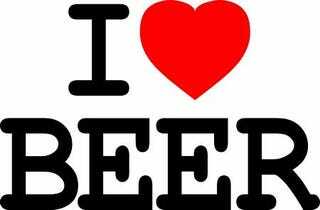 If you love to drink beer, then you love the Earth! Alright guys, this is my first post to one of the Gawker forums, so go easy on me if the formatting is flibberty-gibbeted. There's a good article over at Scientific American (links posted below since evil Kinja has decided to not allow me to link text) about how breweries here in the U.S. are coming together to fight for the Clean Water Campaign. It may come as no surprise to many of you that in order to brew delicious beer, you need clean water. The Natural Resources Defense Council has partnered with breweries to bring their clout into the legislative process ensuring clean water for the country. If you're moved to protect your beloved beverage, there's a link from the NRDC page to "Tell President Obama to Stand Up to Polluters and Protect Our Streams". The second link will inform you to which breweries are participating. So if you love beer, love the earth too! Also let me know which beers are your favorites!